Looking to attend networking events in Edinburgh? Looking to generate more business leads? If you are a business owner or sales manager in Edinburgh then a good place to go to meet new people and build relationships with other businesses is a networking event. I found this hard when I first wanted to get out there and meet new people. There are so many events in Edinburgh that trying to find the time to go to them all and see which ones were best was time consuming. So I have put this list together to help you cut down on your research and give you some of my experiences of networking events in Edinburgh. Why go to networking events? They are not for everyone and you need to understand a few things about them. Most people go because they want to get more business but that won’t happen straight away. Too many people stop going to networking events after only a couple of visits. Networking is a lot like inbound marketing, with inbound it takes time to build up a relationship with your audience and networking is the same. People won’t refer businesses that they don’t know and trust. So stick with it, you will make some new friends. BNI is a little bit different from a lot of other events as it is totally focused on getting your business referrals. BNI is made up of chapters. There are 6 chapters in Edinburgh. BNI will only allow one person from each industry sector in each chapter in order to avoid competition. So you may need to shop around to find one that fits you. When I attended BNI in Dunedin I found everyone to be extremely friendly and helpful and it was really focused on people exchanging referrals. There was also a presentation from one of their members for 10 minutes. Everyone attending also gets one minute to talk about their own business. BNI meetings do require a weekly commitment and if you fail to attend two times within a year then you will lose your place. To combat this you can send someone else in your place if you cannot attend. Some members ask members of other chapters to attend for them. This can also widen your network if you are asked to attend in the place of someone. The cost for a BNI membership is around £600 a year. This does also include your breakfast but the hiring of the venue is an added extra. However this can work out a lot cheaper than some other networking events which I have attended. You can also go along to a chapters meeting for £10 to try it out. A great way to learn if it’s the right event for you without having to fork out £600. I really enjoyed Thrive when I attended and again everyone was very friendly. Thrive is usually once a month but they do offer other events at different times and they also invite along speakers to each event. The quality of the speaker when I attended was very high and they gave really interesting talks. You also get what they call a ‘magic minute’ to give a short talk about your business. In addition to this, you get an opportunity at the end to say who you would like to connect with. Thrive offers a trial membership so you can attend and see if you like it without having to pay a fee. They offer monthly subscriptions from £35-£75 a month plus VAT. There is also a joining fee which ranges from £195-£995 plus VAT. Meetup is a great way to find people within your industry or that share your interests. You can even start your own Meetup. Meetup is not just for business networking but can be for anything, friends getting together who share common interests. Take a look at their website and I’m sure you will find a meeting that fits your needs, if not then why not create your own? The cost of these meetings vary, some are even free. They are held all over the city. Every city has one and going along to an Edinburgh chambers of commerce meeting can be really fun and a great way to build relationships with other businesses in the city. 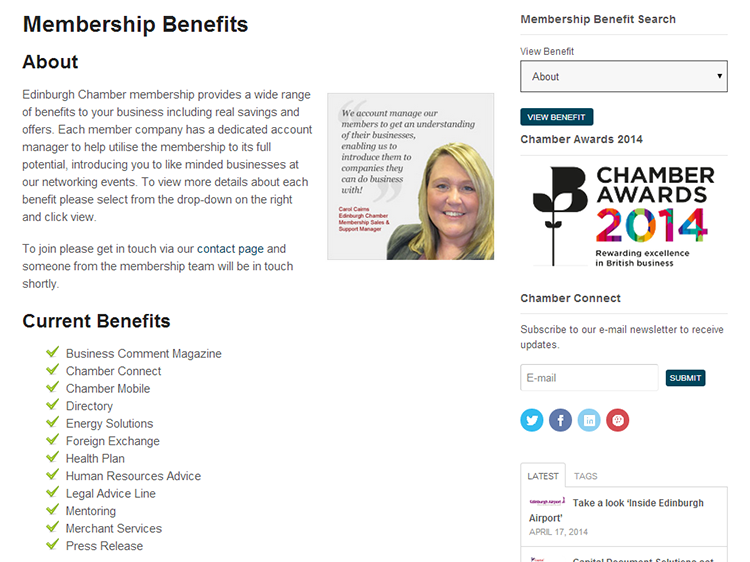 Edinburgh chambers of commerce also offers a wide range of benefits. You can see the full list of benefits here. The cost of membership depends on the size of your business, see some examples below. 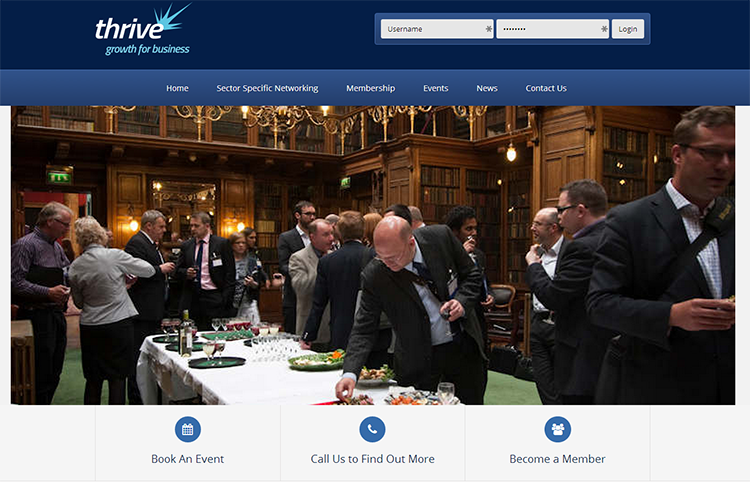 Edinburgh chambers of commerce are very busy and host events all over the city. They also have events at their business location. Visiting a networking event once won’t give you a feel for seeing if it’s worth your time or not, you need to go a few times to see if it is a good fit for you and your business. So research the event and see who the members are. Sometimes you can go to a network meeting to discover that most of the people there are in the same sector as you. The main reason you want to go is to get more business. I get that, but there is no better way to get business than from referrals from people you know and networking can be great for this. If you are a regular reader of this blog then you will know that we talk a lot about inbound marketing and how it’s great for growing your Edinburgh business. So I asked some business owners in the HubSpot LinkedIn group who have had a lot of experience with networking events to offer some help and advice to get the most out of networking. 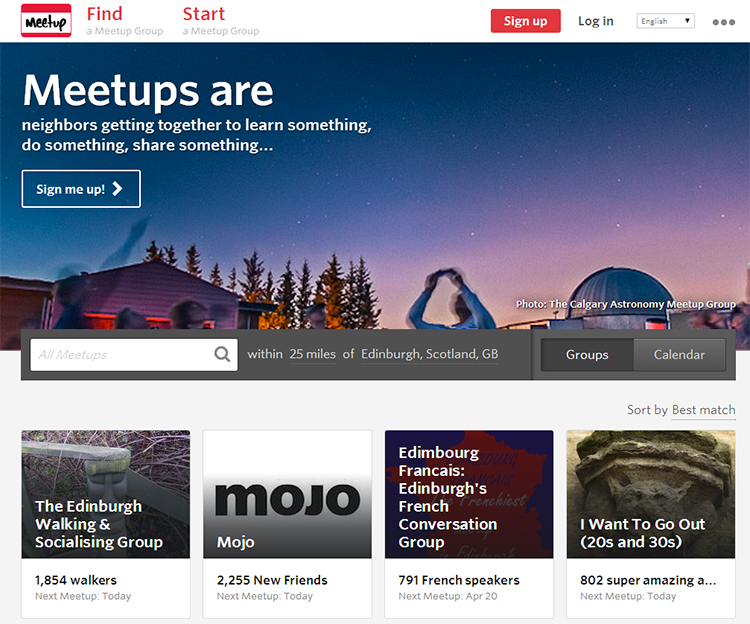 What’s your experience of attending networking events in Edinburgh? Do you recommend any that I haven’t mentioned?